The GET EC-12-1-JA Eco-Takeouts™ food container is made of polypropylene, which provides resistance to breaking. 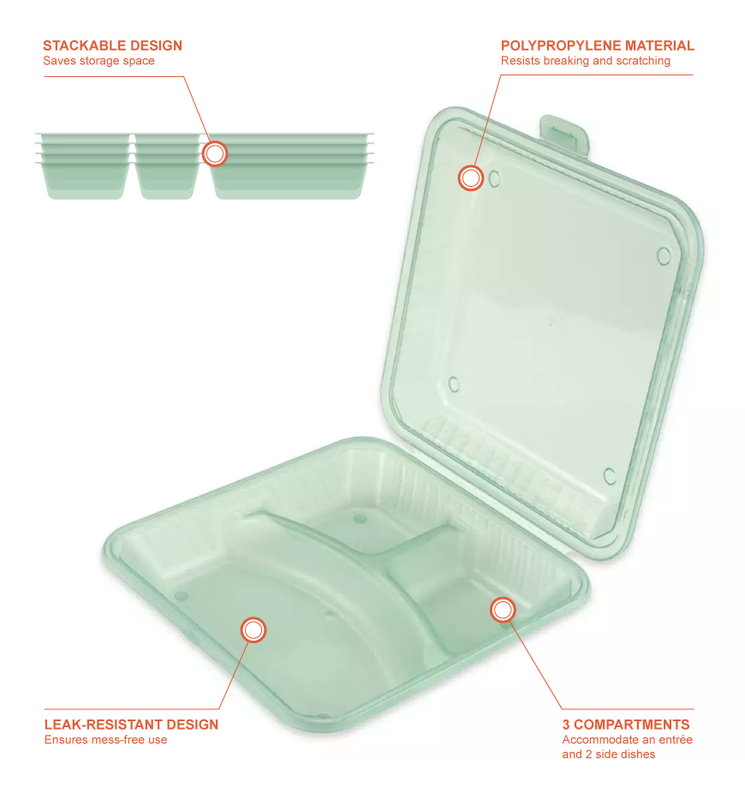 With its leak-resistant construction, the dish prevents most spills. It is safe to use in in microwaves and clean in dishwashers. The container can be stacked to maximize storage areas. 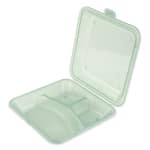 Reusable and recyclable, the container is perfect for use in cafeterias’ reusable programs. An entrée and two side dishes can easily be served in the container. Customize this item with a logo or instructions for a reusable container program. Call 1-800-541-8683 for more information.